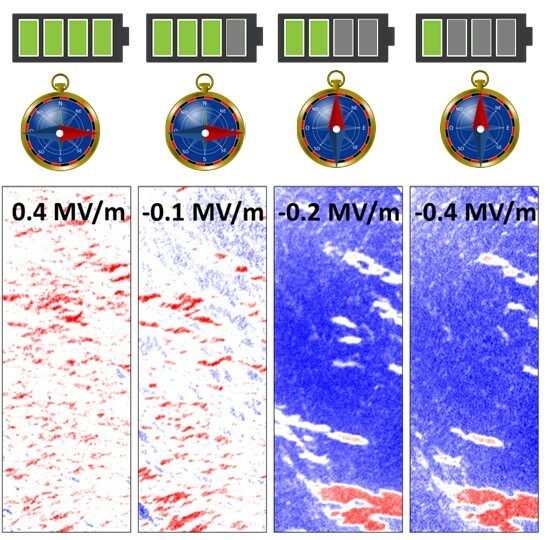 An odd-symmetry magnetoelectric response in a strain-mediated magnetoelectric system made of piezoelectric and ferromagnetic system is observed. Magnetic imaging has been used to observe that the magnetic easy axis of the Co rotates by 90° in-plane between oppositely poled electric states. Being the piezoresponse and even function of the electric field, the results are unexpected and discussed in the recent paper published in Journal of Physics: Condensed Matter.